PORT ST. LUCIE, Fla. - Individual tickets for all New York Mets 2019 home spring training Grapefruit League games will go on sale Saturday, January 12 at 10 a.m. at Mets.com, the First Data Field ticket office and over the phone by calling 772-871-2115. Complimentary hot dogs and drinks. Clearance table at the Fan Shop - 10 a.m. - 4 p.m.
National Anthem tryouts inside the main stadium from 9:30 a.m. - 1:00 p.m. (contact Mary at 772-870-2100 to register). Spring training and St. Lucie Mets Job Fair from 10 a.m. - 2 p.m. Bounce house and other kids activities. 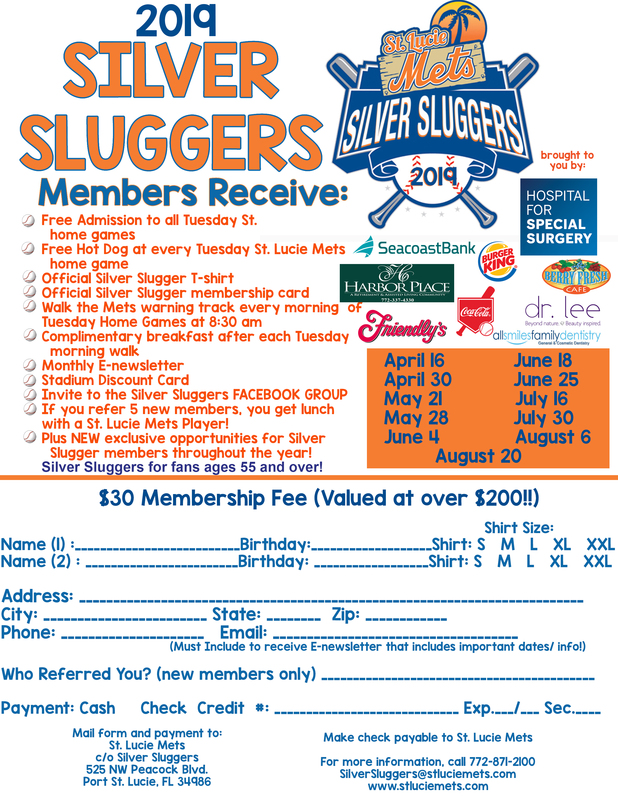 Sign ups for St. Lucie Mets Kids Club and Silver Sluggers memberships. Group tickets and party rental areas will be on sale. 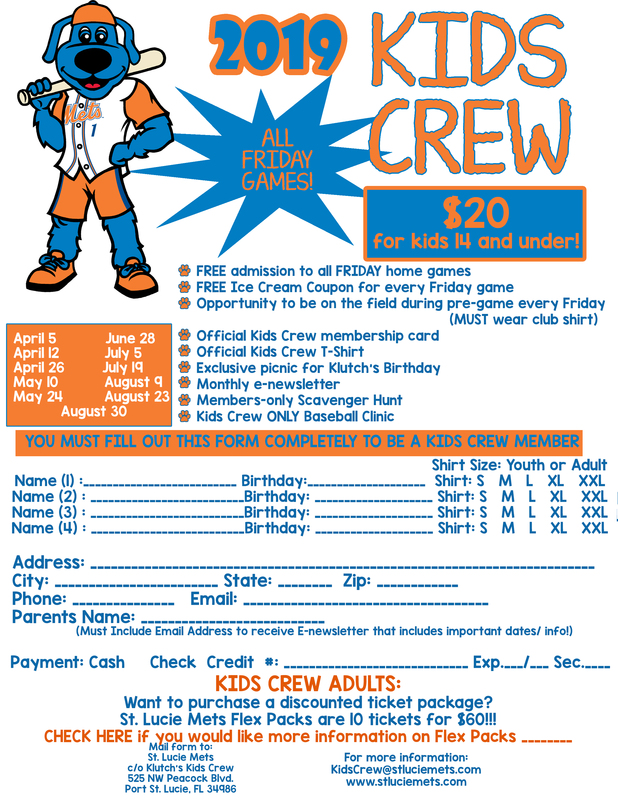 St. Lucie Mets flex packs will be available. First Data Field will be open for fans to view their seats. The Mets will open the 2019 regular season March 29 at Washington. The home opener at Citi Field is April 4 vs. the Nationals. Mets single games tickets for the 2019 season are on sale now at Mets.com or by calling 718-507-TIXX.